When X-Men Origins: Wolverine was conceived, it seemed fairly obvious that there would be a high chance of at least one follow-up. Coming as a spin-off from a franchise with three movies already under its belt, there was not chance it was ever going to be a stand alone art project. When it was released to such poor critical reception, however, one could be forgiven for thinking it might be the end of the road. This was not the case however, and Fox pressed on with plans for a second Wolverine film regardless. It became obvious, however, that Fox were accepting of the fact that the end product had not matched the expectations of the fans who so loved Bryan Singer’s 2 X-films.Where the first movie had to deal with the origin of the character, as the title suggests, and as a result was always going to be a tricky balance, the first details of the follow-up sounded very promising. A more considered story, set in Japan, was promised. That vow was backed up when Christopher McQuarrie, one of the best screenwriters in Hollywood, was appointed as the screenwriter. Singer is responsible for some classic scripts, including the Academy Award winning The Usual Suspects, The Way of the Gun and Valkyrie. We’ll skip over The Tourist for the purposes of this article. Then, the big one. The director was announced, and interest in the project picked up massively. Darren Aronofsky is one of the most well-respected directors in the business. He has a reputation for crafting incredible character dramas, having brought us Pi, Requiem For a Dream, The Wrestler, and was nominated for an Oscar for last year’s masterpiece Black Swan. His appointment came at the height of the buzz for Black Swan, and though a left field choice for an action movie, there was massive optimism for a wonderfully crafted, character-driven Wolverine movie. Unfortunately, a few months into the development the enormity of the project hit the director, and he made the decision to walk away. The long Japan-based production period would mean Aronofsky would be forced to spend several months away from his family, and he decided it wouldn’t work for him. Aronofsky is starting to develop a bit of a reputation for walking away from projects. He was attached to the Robocop reboot for quite some time before walking away, and has always been known for long development periods even for the films he does see through. Wolverine fans were very disappointed by the news, and the whole project was thrown into doubt. On the one hand, it is a bit of a slap in the face for everyone involved when a director accepts a job and then changes his mind after several months. On the other hand, it is probably better for a filmmaker to put down a project that he is not fully committed to, giving the chance to a director who can put their full passion into it. Of course, you could argue that a half-hearted Aronofsky effort would still be better than one from the majority of Hollywood directors giving it their all, but we’ll never know. 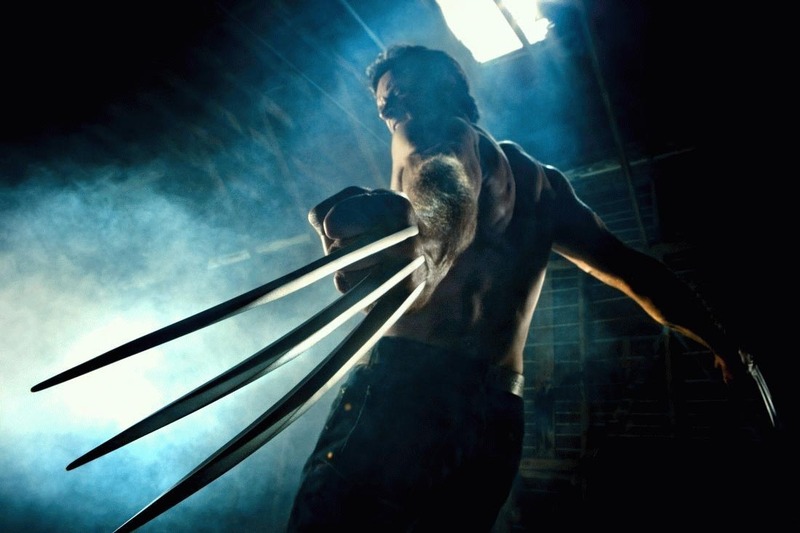 Star Hugh Jackman stayed upbeat, however, and insisted the movie would go ahead, and promised that whoever replaced Aronofsky would be capable of producing something just as great. One of the names rumoured for the job, Moon’s Duncan Jones, excited quite a few people. Moon, though very low-budget, gained great critical acclaim, weaving a wonderfully nuanced tale. Jones’ follow-up, Source Code, also got great reviews, and fans were keen to see what he could do with a property like Wolverine. Both Moon and Source Code underperformed at the box office, so a licensed property like The Wolverine, with a big fan-base guaranteed to produce big box office numbers, would be a great opportunity for Jones to display his filmmaking talents to a wider audience. Disappointing, then, that news reaches us this week of a shortlist of potential directors without Jones’ name on it. Variety have produced a list of names of directors who are apparently in the frame for the job. One by one, they include – Jose Padilha (Elite Squad), Doug Liman (The Bourne Identity), Mark Romanek (Never Let Me Go), Antoine Fuqua (Training Day), Justin Lin (Fast Five), Gavin O ‘Conner (Pride and Glory), James Mangold (3:10 To Yuma), and Gary Shore (a commercial director, apparently). Clearly Shore is an unknown quality with regards to feature films, and would be a poor replacement for Aronofsky in terms of reputation. Mangold brought us the brilliant but underrated Copland, the very good 3:10 to Yuma, and the misunderstood Knight and Day. He would be an interesting choice, but would certainly constitute a risk. Lin’s Fast Five is a vast improvement in the Fast and Furious franchise, but he isn’t best known for great character work. Fuqua is best known for unremarkable crime drama, Brazilian Padilha is as well-known for documentaries as he is feature films. Romanek has certainly brought great personal drama to the big screen with One Hour Photo and the fantastic Never Let Me Go, but has no pedigree in regards to action, which could be a problem. Liman is probably the clearest choice on the list, having combined intelligent story and thrilling action successfully in The Bourne Identity. None of these choices seem ideal to me. To be fair, if they had been named from the start we would probably be perfectly happy with them, but having lost Aronofsky, our expectations are now higher. Personally, I’d love to see the reigns handed over to someone who is already strongly connected with the property. No, I’m not talking Singer or X-Men: First Class director Matthew Vaughn, though both would clearly be excellent choices. I’m talking about screenwriter McQuarrie. The Way of the Gun is one of my favourite films of all time. Combining blistering action with dramatic story and complex plot, The Way of the Gun is criminally underrated, and contains all the same elements that would make a great Wolverine movie. He has only directed this one film though, and one look at IMDb shows that he has a lot of writing to do, with several screenplays showing as ‘in development’. Whoever does finally get chosen, if the film does ever go ahead, is going to have a very difficult job. Not only do they have to overcome the poor reputation of the preceding film, and satisfy fans of the original comic-book, he also has to somehow rise above the shadow of Aronofsky. Whatever the new director does with the film, there will be those that compare it to the film that might have been. That is a lot of pressure to put on a filmmaker, and is obviously unfair. I’m hopeful they can find the right man for the job. There is a lot of potential in the character, and in the right hands the Wolverine could be great. Watch this space, and we’ll keep you updated as and when a decision is made. This entry was posted in Articles, News and tagged aronofsky, christopher mcquarrie, director, hugh jackman, mark romanek, mark singer, news, sequel, the wolverine, update, x-men, x-men: origins. Bookmark the permalink. I hope they can figure out how to get a good solo Wolverine movie to the bigscreen. I thought X2 was getting there, but it lost its way after that.